EXCLUSIVE. LeasePlan Bank, the online savings bank based in the Netherlands, has chosen Ohpen to upgrade its whole core cloud banking engine, Pieter Aartsen and Angelique Schouten, global board members at Ohpen, told FinTech Futures. The bank will do a full-stack upgrade of its core engine and all other tech, which moves away from Oracle FSS’s Flexcube, an on-premises system onto Ohpen’s cloud-native engine. This move will cover both the Dutch and German operations of the bank. Although the bank is headquartered in the Netherlands, a part of its client base is based in Germany. The partnership was effective as of the 27 June 2018, but the team will officially start the implementation on the 4 July. During the implementation, the bank’s whole system, bar the website, will be provided by Ohpen’s tech. 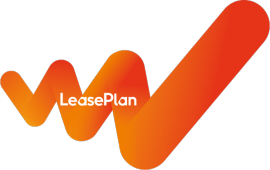 For the bank it is the retail savings and deposits IT infrastructure, which is what LeasePlan Bank specialises in. “Migrating LeasePlan Bank’s customers to the Ohpen core banking platform will reduce the complexity of their savings and deposits IT architecture and make LeasePlan Bank more agile,” says Aartsen. Ohpen has been gaining traction over the last few years. Knab, a challenger bank subsidiary of Aegon, moved to Ohpen’s core from Sopra Banking Software’s system. Aegon is also a customer of Ohpen. Former Delta Lloyd Bank, which was taken over by Nationale Nederlanden (NN) Group last year, also made the jump onto Ohpen’s tech, alongside NN Bank. On the way out are Temenos with its T24 system and Able (a local banking software provider). When asked about the reason for this momentum, Schouten cited Ohpen’s “power of one” motto. “We have one core banking engine running in the cloud, one code base, one version of our platform for all countries. The fact that it’s one solution and cloud-based means that it is faster, more reliable and we can release our new software to all clients at the same time, which happens every month,” she told us. As a side note, Ohpen got involved in a peculiar side project. Earlier this month, the company became the sponsor for Mark Slats, a participant of the Golden Globe Race, a round-the-world retro solo sailing trip. When Slats met Chris Zadeh, founder and CEO of Ohpen, the executive took an interest in the adventurer, who has been sailing and rowing for charity ever since his mum became ill.
Slats is a carpenter by trade, and he has already broken world records, yet he struggled financially to keep up with its sailing-for-charity career. Ohpen stepped up to the task, as the CEO “saw in him the spitting image of Ohpen’s core values”.